Why are premium locations recording some of the steepest declines in rent? Our most recent research has showcased a broadly stable third quarter in terms of sales compared with the previous quarter, however, it was the year-on-year figures that have notched the more pronounced decline. From an apartment perspective, we noted average softening of 4 per cent, with Business Bay and Dubai Marina both posting an 8 per cent drop, followed by Dubai Sports City, International City and Jumeirah Village, each recording a fall of 7 per cent. It was only The Greens and Dubai International Financial Centre that remained on par with Q3 2016. Rental rates have shown a more drastic drop in the apartment market, particularly when compared to Q3 2016, with rates indicating an average drop of 12 per cent. Dubai Marina posted the highest decline in rental rates at 19 per cent compared with Q3 2016, followed by Downtown Dubai (18 per cent), Dubai Sports City (16 per cent) and Bur Dubai (16 per cent). The question asked by many is why have these sought-after premium locations witnessed the largest declines? Market conditions have served to strengthen the negotiating position of many residential and commercial tenants. Many existing tenants have taken this opportunity to renegotiate their lease terms. The supply of new developments, particularly those with a larger number of dwellings, are regularly offered below market rate to encourage speedy take-up. As a result, rates for high-end properties, as well as mature units in established neighbourhoods, tend to soften as landlords and developers compete to retain tenants and encourage investors, impacting the price. Landlords, especially corporates, have offered incentives such as increasing the number of cheques accepted and longer rent-free periods to entice take-up, especially in newly handed over communities that still lack supporting infrastructure, retail and leisure facilities. Single-unit owners, especially those with mortgages, were also more inclined to reduce rental rates to increase take-up, rather than undergo prolonged periods without any rental income. Both factors have contributed to the drop in rents. 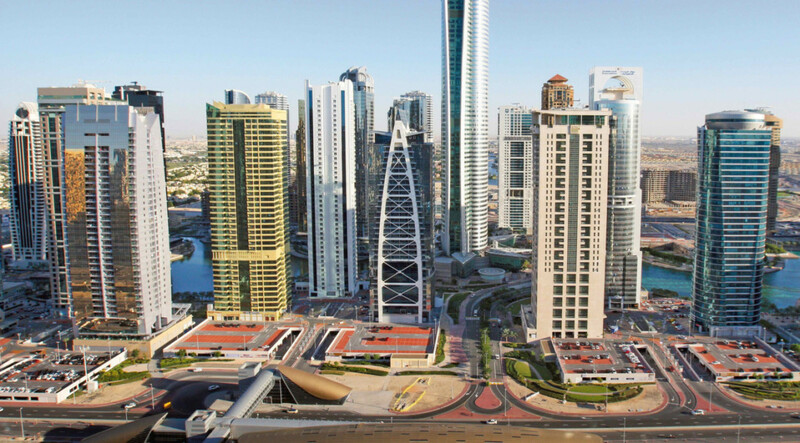 When considering the best bargains in Dubai we have to look at the circumstances of the tenant and investors. Generally speaking, the most affordable communities are located inland or further away from urban areas, but affordability is not just location specific, it also depends on a number of criteria, including but not limited to supply and demand, the quality, age and condition of units and supporting infrastructure and facilities within and around the project. Tenants looking for the best deals in apartments need look no further than International City where rental rates for a studio apartment range from Dh25,000-Dh35,000, Deira (Dh25,000-Dh55,000), Bur Dubai (Dh30,000-Dh55,000), Jumeirah Village (Dh34,000-Dh48,000) and Dubai Sports City (Dh34,000-Dh50,000). That said, the price point between traditional so-called affordable property and mid-to-high end properties has reduced. In Dubai Marina and Jumeirah Lakes Towers, studio apartments start from Dh45,000, just a Dh10,000 difference from the higher end of the affordable properties. In the villa rental market, two-bedroom units are available in areas such as Mirdif (Dh70,000-Dh110,000), Springs (Dh100,000-Dh130,000), Jumeirah Village (Dh100,000-Dh140,000) and Arabian Ranches (Dh115,000-Dh165,000). Interestingly, the line between rental rates for different unit types within the same community is becoming increasingly blurred. Jumeirah Village is a prime example of this, with a rental range of Dh100,000 to Dh140,000, tenants can choose between a two-, three-, four- and five-bedroom town house. The sheer volume of properties announced and anticipated for delivery over the next few years will continue to put further pressure on rental rates. The impact on some projects will, however, be less notable if they benefit from unique demand drivers such as favourable location, advanced facilities, quality finishes, excellent property management and a range of incentives. Even if not all of these units materialise due to construction delays and phasing, we expect that a large number of dwellings will be offered to the market on discounted rates. From an investor perspective, the general rule of thumb is more affordable units have the potential to return higher yields. International City and Discovery Gardens are within the affordable bracket, have high demand from tenants and, therefore, return good yields. Although villas still have the potential to return competitive yields, the smart money is on apartments, with studios and one-bedroom apartments offering the best returns. Location is another important factor. Completed communities with a wealth of amenities have higher yields when compared to those still under construction. Overall, tenants and investors have benefitted from more choices, as well as lower pricing and more flexible payment terms.